Event Description: Extremely aggressive (bordering on suicidal) and dangerous driving. Driver flew up behind me at about 110mph while I was doing the 65mph speed limit on 2 lane narrow mountain pass toll road. He drove literally an inch from my rear bumper while revving engine and weaving back and forth in the lane as though preparing to ram me. I could not move over as there was another vehicle alongside me. Driver almost forced me off the road – I sounded my horn to alert driver next to me of the danger and then (fearing for my life) had to drive on side of road to move over enough so he could squeeze pass. Nearly lost control of my car. Followed him (at a safe distance!) 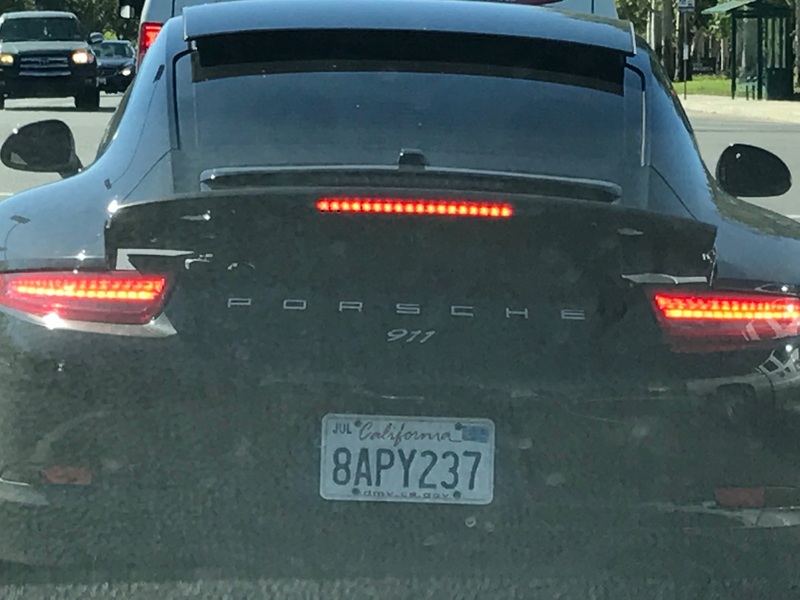 to his exit for a distance of 5 miles (2 mins on toll rd) and observed him weaving between other cars at high speed without indicating. He got off at his exit and I pulled up behind him at the first red light and snapped his licence plate. I then pulled into the local Sheriff’s Station 2 blocks away to prevent him following me as I am certain he recognized my car! Someone get this guy off the road before he kills someone! Driver Description: White male, 30s or 40s, baseball cap, brightly colored shirt.